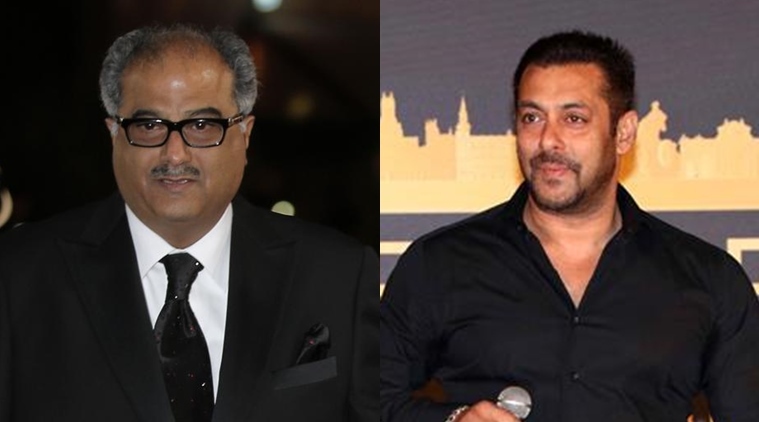 Yes, you heard it right, Salman Khan has barred Boney Kapoor to enter his house. All thanks to Boney’s son Arjun Kapoor who is now in news for having affair with Malaika Arora who happens the Arbaz’s ex-wife. We know Salman Khan to be a family man and when it comes to his family he remains steady and tough. We know Arjun Kapoor doing his debut in 2012 with his film Ishaqzaade and he had Salman’s support in it. He has played the role of mentor in the life of Arjun Kapoor in launching the Kapoor lad in the B Town. In fact, Salman Khan is known to support and launch many star kids and others in B Town giving them films and supporting them in the industry. Arjun had always shared a good rapport with Bhaijaan and had has remained his fan as well. However, this seems to be history now for the Ki & Ka actor as its been six years to see him stable in the industry and that he barely requires any support or godfather at the back. Also, he went free to have a relationship with Malaika Arora who remained the part of Salman’s family by being the wife of Arbaaz Khan the brother of Salman. In fact, the affair with Malaika went to an extent that they had bought a new home in partnership in the city of Bombay. Salman who is very possessive about his family had objections to Arjun’s relationship with his ex-sister in law. Thus the only way to retaliate was to ban Arjun’s entry into his home. Also, he went on to plan a suit for his father Boney Kapoor. As per sources, Arjun first dated Arpita Khan the younger sister of Salman Khan but the relationship did not do well and they soon broke up. Soon we saw Arjun developing good rapport with Malaika Arora Khan and Arbaaz Khan. But when things turned bad and Malaika went on to break her relationship with Arbaz allowing Arjun in her life, Salman had reasons to lose temper against Arjun. But then he thought of his family and did not do anything. Also, we saw Salman Khan opting out from Boney Kapoor’s movie No Entry Mein Entry without giving any reason.